These aging warriors of the Navy's fleet, which carry modern weapons, electronics and engines, cost about $38 million each. 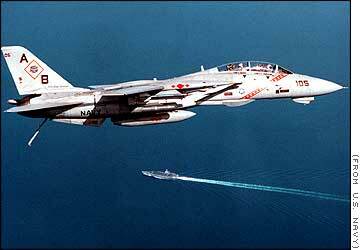 F-14s can carry up to 13,000 pounds of ordnance, including Phoenix, Sparrow and Sidewinder missiles, along with a 20 mm cannon. Armament: Up to 13,000 pounds to include AIM-54 Phoenix missile, AIM-7 Sparrow missile, AIM-9 Sidewinder missile, air-to-ground precision strike ordnance, and one M61A1/A2 Vulcan 20mm cannon. 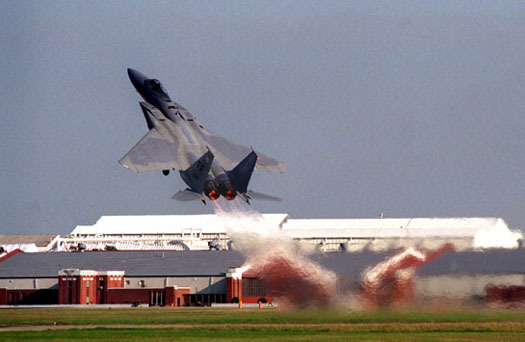 The F-15 is an all-weather tactical fighter. 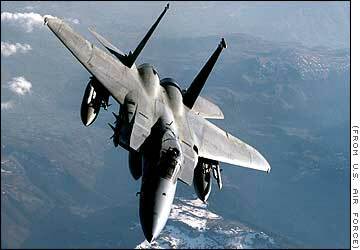 Called the "Starship" by pilots, the F-15 costs $15 million per plane and is the world's leading air superiority fighter. It carries an M-61 A1 20 mm cannon, four Sidewinder missiles and four Sparrow missiles. Inventory: Active force, 396; Reserve, 0; ANG,126. 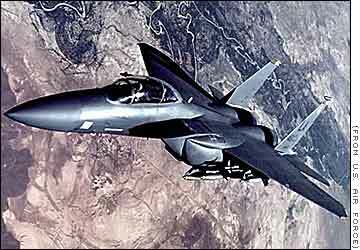 The F-15E is a special strike, or bomber, version of the F-15 fighter aircraft crewed by a pilot and a weapon systems officer. The $31.1 million plane features advanced laser and radar targeting systems, air-to-air missiles. It can carry any bomb in the Air Force's inventory, including the 5,000-pound GBU-28 "bunker buster" and the all-weather 2,000-pound AGM-130 guided missile. The F-16 Fighting Falcon is a small multi-role fighter aircraft known for its exceptional maneuverability and diverse capabilities. 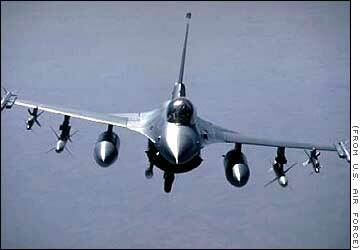 Each F-16 costs $20 million or more. It carries one M-61 A1 20 mm multibarrel cannon, and up to six air-to-air missiles. 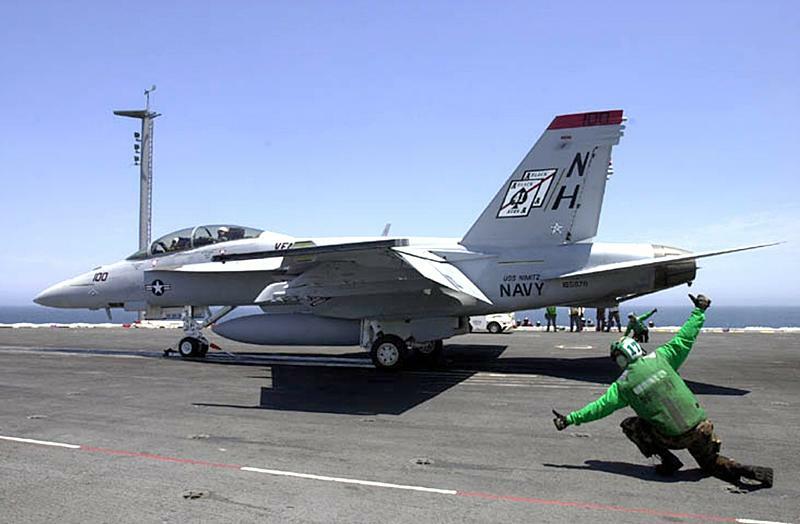 F/A-18 and F/A-18C Hornets are dual-role attack aircraft and fighters. These twin-engine, multipurpose aircraft can cost from $24 million to $35 million, depending on the type. Some versions carry crews of one, others two. Maximum speed is Mach 1.7. Weapons: Air/Air missiles: Sidewinder, Sparrow and AMRAAM, Air/Ground: Maverick, Harpoon and HARM, Bombs: free fall, laser guided, and cluster. Crew: A, C, and E models are pilot only while B, D, and F models are two-seaters. Up to 13,700 pounds (6,227 kg) external ordnance. Nine weapon stations; two wingtip stations for Sidewinders, two outboard wing stations for air-to-air or air-to-ground weapons, two inboard wing stations for fuel tanks, air-to-air or air-to-ground weapons, two nacelle fuselage stations for AMRAAMs, Sparrows or sensor pods, and one centerline station for fuel or air-to-ground weapons. M61A1 20-mm gun internally mounted in the nose. 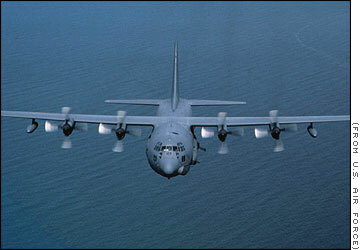 The AC-130 gunship's primary missions are close air support, air interdiction and force protection. 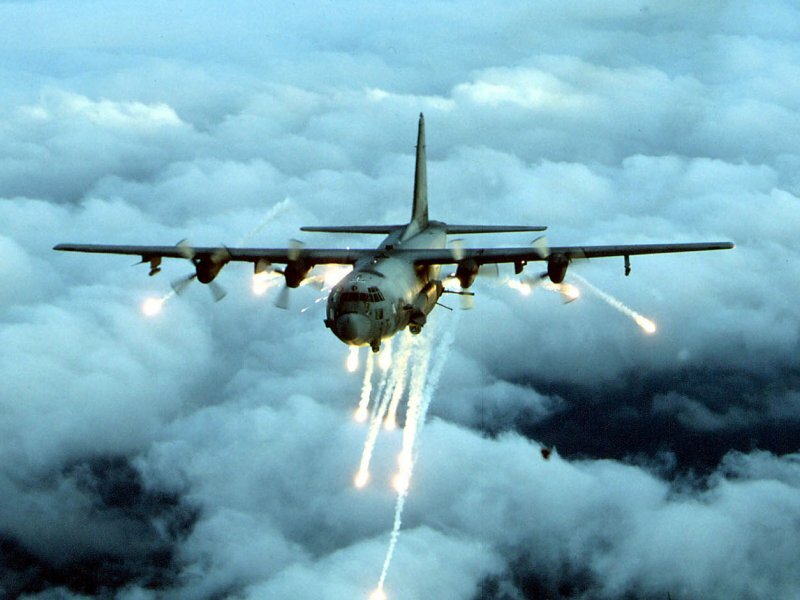 These heavily armed aircraft incorporate side-firing weapons integrated with sophisticated sensors, navigation and fire control systems to provide surgical firepower or area saturation during extended periods, at night and in adverse weather. 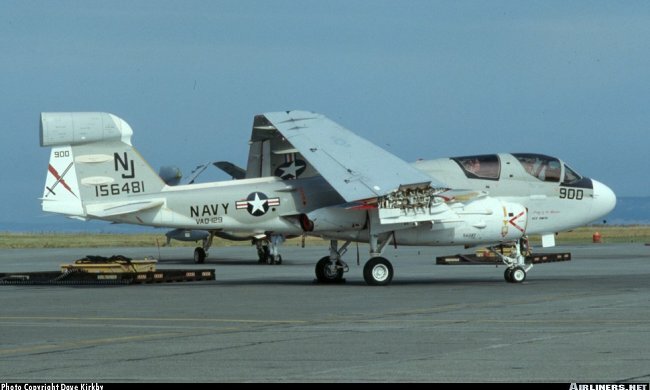 The A-6 Intruder recently retired as the Navy/Marine Corps medium attack aircraft. This redoubtable aircraft has seen combat in Vietnam and the Persian Gulf and was the star of the Hollywood film "Flight of the Intruder." Together with its principal variant, the EA-6B Prowler electronic warfare aircraft, the A-6 Intruder has earned its place in aviation history. Wing sweepback 25 degrees at quarter-chord; outer wing panels fold upward more than 90 degrees for stowage; TRAM ball under nose, aft of radome. 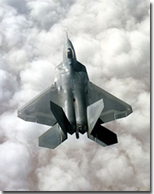 Survivability improvements incorporated; fire extinguishing system (halon) inerting fuel tanks; fire suppression in areas around fuselage fuel tanks wing dry foam blocks; and self-sealing fuel lines in engine cavities. A little-known fact is that the Intruder delivered more ordnance during the Vietnam War than the B-52. Primary function: Carrier-based all-weather attack aircraft, with tanker variant. Armament: Five weapon attachment points, each with a 1633 kg (3600 lb) capacity (max external stores load 8165 kg; 18,000 lb). Typical weapon loads are 28 500 lb bombs in clusters of six, or three 2000 lb general purpose bombs plus two 1135 litre (300 US gallon; 250 Imp gallon) drop tanks. AIM-9 Sidewinder can be carried for air-to-air use. Harpoon missile capability added to weapons complement of A-6E/TRAM. 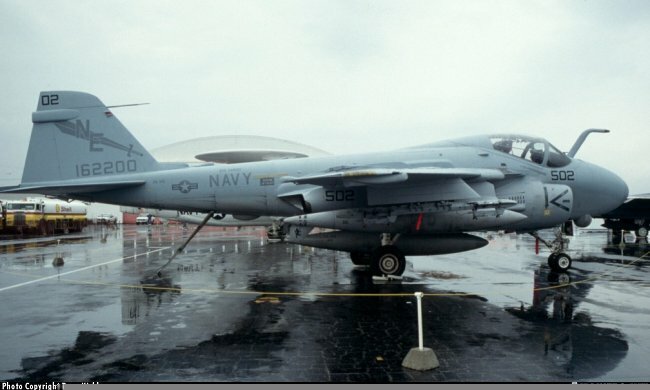 The HARM missile has been test flown on the A-6E. Up to 20 Brunswick Defense AN/ADM-141 TALD (Tactical Air-Launched Decoy) gliders, or two in addition to normal bomb load. Flight and firing tests have been carried out with the AGM-123A Skipper II, also on an A-6E. 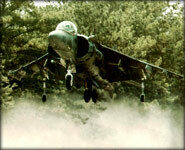 The versatile, British-designed Harrier attack jet can take off and land vertically, much like a helicopter. The $24 million aircraft has a top speed approaching Mach 1 and carries both air-to-air and air-to-ground weapons, including the missile. 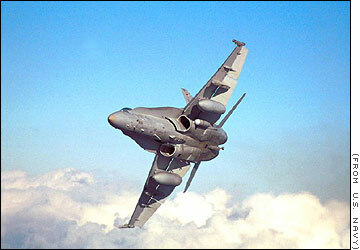 Harriers fought dramatically and effectively in the British conflict with Argentina over the Falkland Islands. Primary Function: Attack and destroy surface targets under day and night visual conditions. Armament: Seven external store stations, comprising six wing stations for AIM-9 Sidewinder and an assortment of air-to-ground weapons, external fuel tanks and AGM-65 Maverick missiles; one centerline station for DECM pod or air-to-ground ordnance. A GAU-12 25MM six-barrel gun pod can be mounted on the centerline and has a 300 round capacity with a lead computing optical sight system (LCOSS) gunsight. 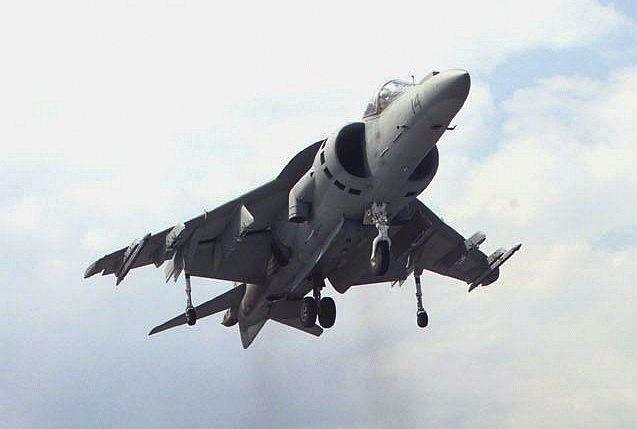 12 January 1985, AV-8BII (Plus) introduced in June 1993. The A-10, known among pilots as the Warthog, is designed to fly low and destroy tanks. Each aircraft costs $8.8 million and takes a crew of one. The A-10 carries a 30 mm GAU-8/A seven-barrel Gatling gun, and up to 16,000 pounds of mixed ordnance. 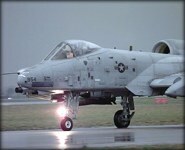 Primary Function: A-10 - close air support, OA-10 - airborne forward air control. Anti-tank. Armament: One 30 mm GAU-8/A seven-barrel Gatling gun; up to 16,000 pounds (7,200 kilograms) of mixed ordnance on eight under-wing and three under-fuselage pylon stations, including 500 pounds (225 kilograms) of Mk-82 and 2,000 pounds (900 kilograms) of Mk-84 series low/high drag bombs, incendiary cluster bombs, combined effects munitions, mine dispensing munitions, AGM-65 Maverick missiles and laser-guided/electro-optically guided bombs; infrared countermeasure flares; electronic countermeasure chaff; jammer pods; 2.75-inch (6.99 centimeters) rockets; illumination flares and AIM-9 Sidewinder missiles. 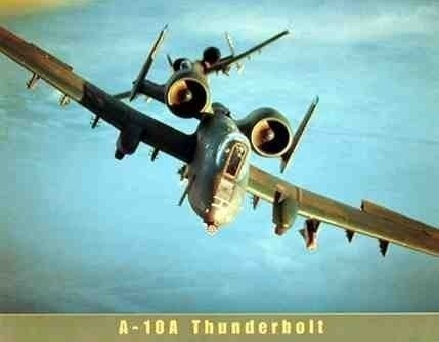 The A/OA-10 Thunderbolt II is the first Air Force aircraft specially designed for close air support of ground forces. 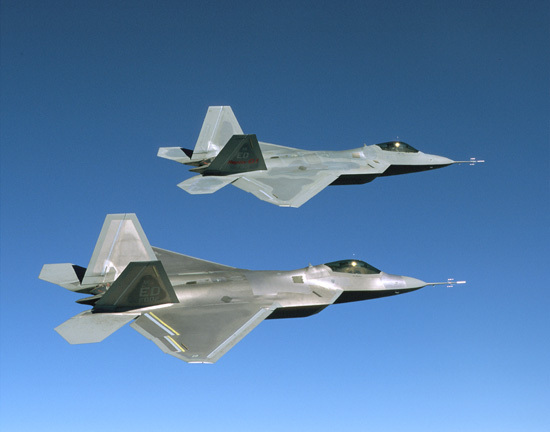 They are simple, effective and survivable twin-engine jet aircraft that can be used against all ground targets, including tanks and other armored vehicles. The A-10/OA-10 have excellent maneuverability at low air speeds and altitude, and are highly accurate weapons-delivery platforms. They can loiter near battle areas for extended periods of time and operate under 1,000-foot ceilings (303.3 meters) with 1.5-mile (2.4 kilometers) visibility. Their wide combat radius and short takeoff and landing capability permit operations in and out of locations near front lines. Using night vision goggles, A-10/ OA-10 pilots can conduct their missions during darkness. Thunderbolt IIs have Night Vision Imaging Systems (NVIS), goggle compatible single-seat cockpits forward of their wings and a large bubble canopy which provides pilots all-around vision. The pilots are protected by titanium armor that also protects parts of the flight-control system. The redundant primary structural sections allow the aircraft to enjoy better survivability during close air support than did previous aircraft. The aircraft can survive direct hits from armor-piercing and high explosive projectiles up to 23mm. Their self-sealing fuel cells are protected by internal and external foam. Manual systems back up their redundant hydraulic flight-control systems. This permits pilots to fly and land when hydraulic power is lost. 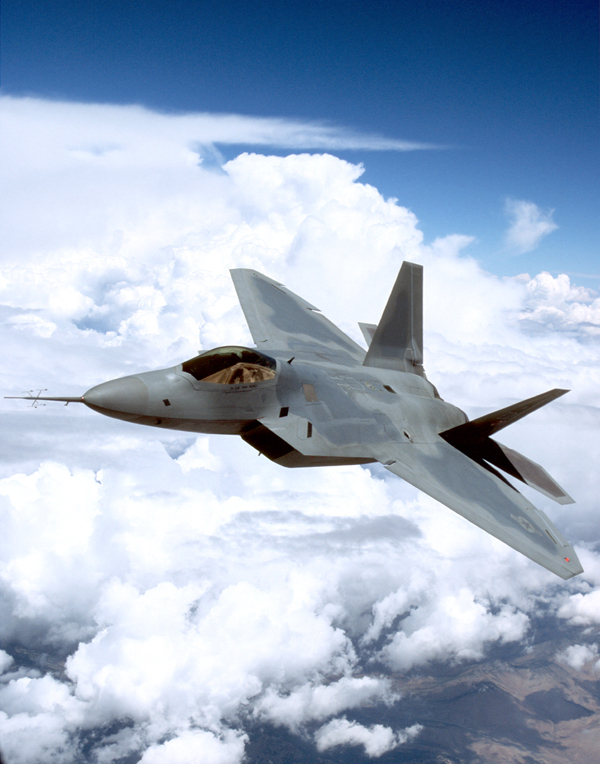 Avionics equipment includes communications, inertial navigation systems, fire control and weapons delivery systems, target penetration aids and night vision goggles. Their weapons delivery systems include heads-up displays that indicate airspeed, altitude, dive angle, navigation information and weapons aiming references; a low altitude safety and targeting enhancement system (LASTE) which provides constantly computing impact point freefall ordnance delivery; and Pave Penny laser-tracking pods under the fuselage. The aircraft also have armament control panels, and infrared and electronic countermeasures to handle surface-to-air-missile threats. Installation of the Global Positioning System is currently underway for all aircraft. The Thunderbolt II's 30mm GAU-8/A Gatling gun can fire 3,900 rounds a minute and can defeat an array of ground targets to include tanks. Some of their other equipment includes an inertial navigation system, electronic countermeasures, target penetration aids, self-protection systems, and AGM-65 Maverick and AIM-9 Sidewinder missiles. 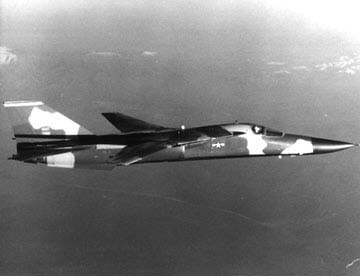 F111 was one of the first aircraft designed for "Safe Life" as a result of the Aircraft Structural Integrity Program in the USA (1956). However, following several early aircraft losses, it was realized that relatively small flaws escaping detection during NDI at manufacture could lead to catastrophic failure in the highly stressed, high strength steel structure following a period of fatigue growth in a very short time frame. 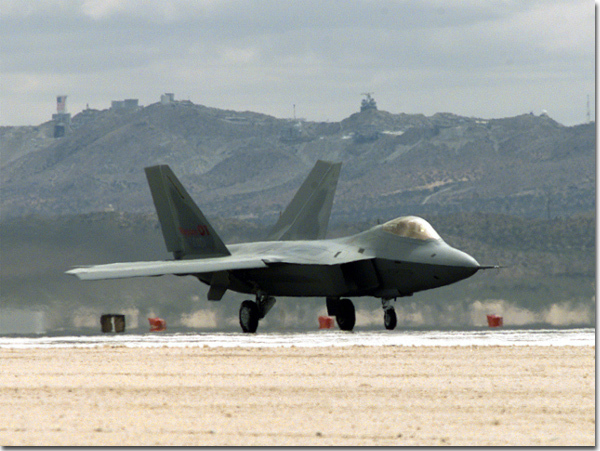 This led to the application of fracture mechanics principle to aircraft design and was used in the F111 recovery program in the form of the cold proof test. At the test temperature of - 40°C, the fracture toughness of the steel is reduced so that at critical load, small flaws undetectable by NDI can cause catastrophic failure. If the aircraft does not fail, then fracture mechanics principles can be used to predict a period of safe operations before the "proof test" flaw size grows to critical flaw size under normal operating conditions. 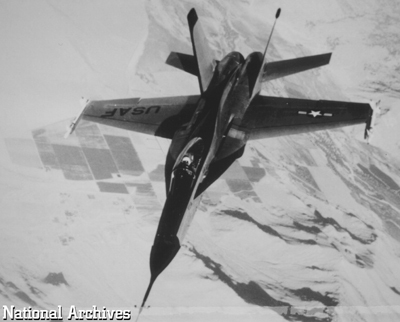 F111 is the only aircraft ever built to depend for safety of operation on this test. This paper will briefly describe the history and technical basis for the Cold Proof Test, shortly to be established at RAAF Amberley. 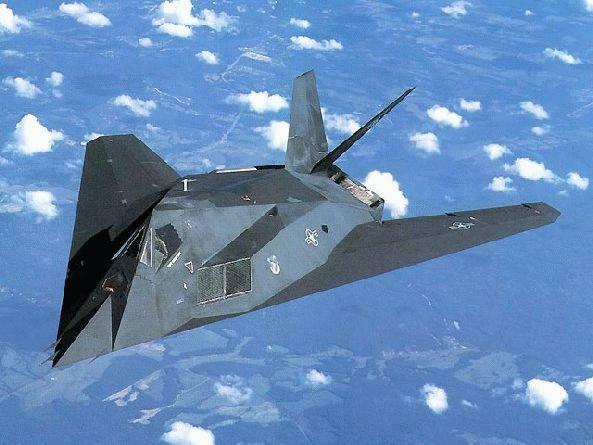 The F-117 Nighthawk stealth fighter is the world's first operational radar-avoiding aircraft. This twin-engine aircraft costs about $45 million, can fly at high subsonic speeds and carries weapons in an internal bay.